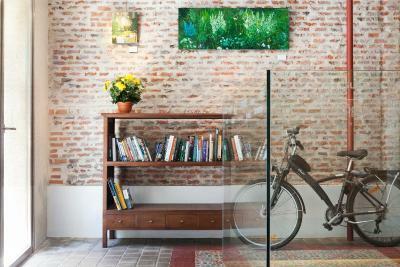 Lock in a great price for Artrip Hotel – rated 9.3 by recent guests! 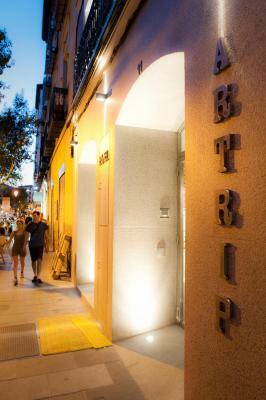 Hotel Artrip is a pleasant boutique-style hotel on a quiet street not too far from many of Madrid’s prime attractions. Museum Reina Sophia is close by. 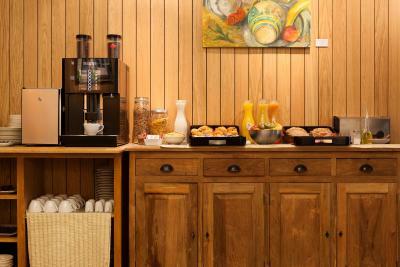 Hotel is family-owned and well-managed and staffed; the owner both helpful and congenial. 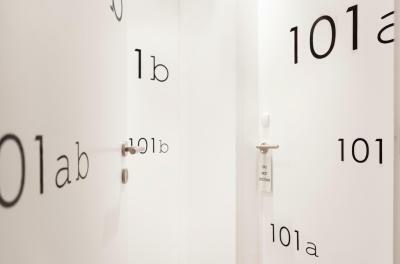 Rooms are a little small, but more than adequate for two. 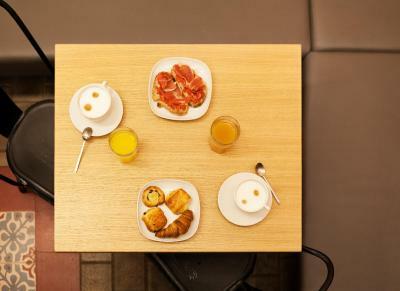 Very nice continental breakfast with many choices; well worth the small charge. The area felt safe. Multiple bus routes nearby and also a Metro stop not far away. There are 2 supermarkets close by, and several restaurants within short walking distance. 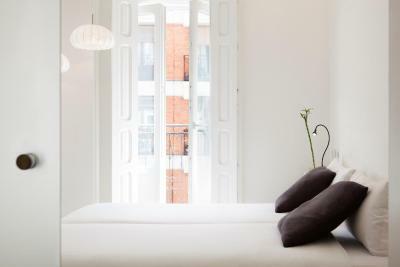 This is a pleasant and convenient place to stay when in Madrid for a short visit. This hotel was wonderful and exceeded our expectations. 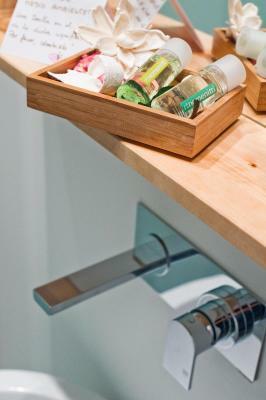 The room felt like a suite in size and was well stocked with amenities and toiletries. It was a quite refuge in a city as large as Madrid. We found it easy to get around from this location and it had some great food options nearby; we had an excellent Indian meal just a few blocks away. We also ran into the owner one night as he worked the desk and was courteous enough to introduce himself and make sure we had everything we needed. This attention to detail was apparent in all aspects of our stay. We arrived early and were told our room was not ready yet. No surprise since it was only 10 in the morning. We were so exhausted. As soon as the previous guest checked out they went to work and got our room ready way ahead of schedule. We were so grateful. 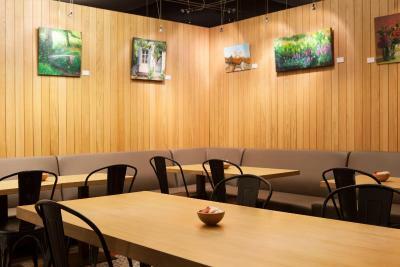 The location is convenient to all the art museums and many great restaurants. The front desk was super helpful and caring. 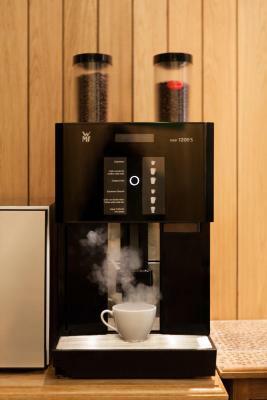 The coffee was excellent! The shower was better than home. 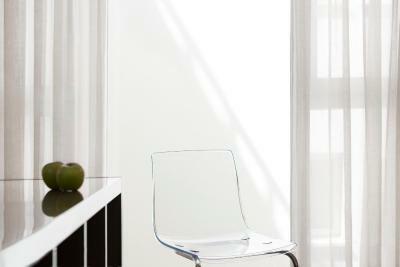 The room had so much natural light and also great lighting at night. The staff went out of their way for us, there was a very personal touch. It was my husband’s birthdayand they left us a bottle of champagne with a lovely note. We really appreciated their kindness. The mobile wifi router that was offered to us to take with us during the day was also a great touch. I can highly recommend the hotel. 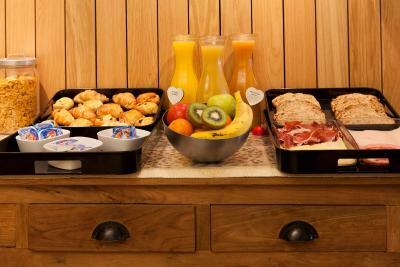 Clean hotel , kind staff, It is an old house and it has been renovated and redecorated very well. I like it and when we comeback to Madrid it will be our first choice. Very good location , clean and very helpful staff !! Great location, cozy hotel, spotlessly clean, punches above its weight. The staff is amazing! We enjoyed the bonus of a mobile WiFi hotspot - it made navigating the city so much easier! 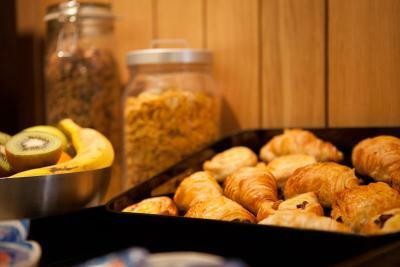 Nice continental breakfast with great coffee. 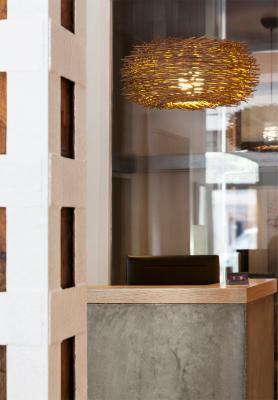 Wonderful, friendly atmosphere, with helpful, outgoing staff! Our second time to this lovely little hotel...and found many of the guests were repeat customers. This hotel is convenient to everything! Museums and especially to La Latina and Lavapies! We came back to our room one night to a complimentary bottle of wine and olives as a thanks for our return business!! The room was big, clean and pristinely modern. The breakfast was yummy and for good price, too. 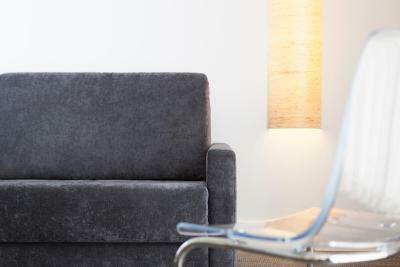 Artrip Hotel This rating is a reflection of how the property compares to the industry standard when it comes to price, facilities and services available. It's based on a self-evaluation by the property. Use this rating to help choose your stay! 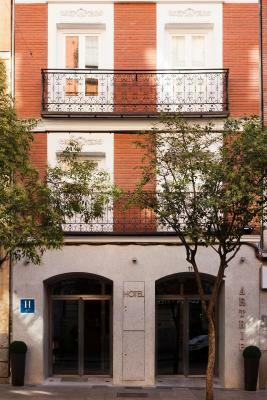 One of our top picks in Madrid.In Madrid’s Lavapiés district, this art hotel offers functional rooms with free Wi-Fi and private bathrooms. 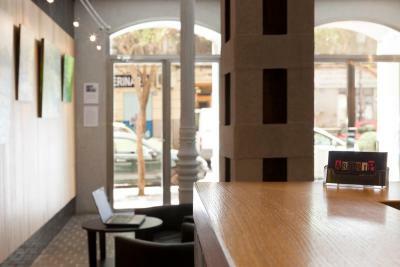 It has a 24-hour front desk desk and is a 10 minute walk from Atocha Metro Station. 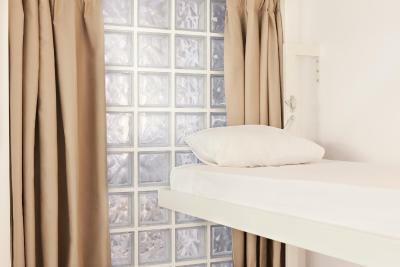 All air-conditioned rooms at Artrip Hotel have soundproofed walls and come with a flat-screen satellite TV and a laptop safe. Some rooms have a small balcony overlooking the street. 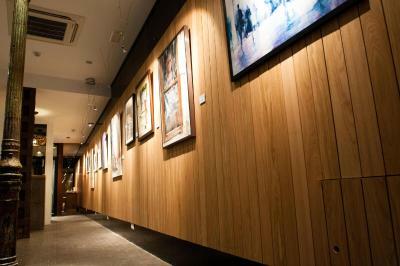 The hotel is decorated with a variety of art work and has a small cafe on the ground level. 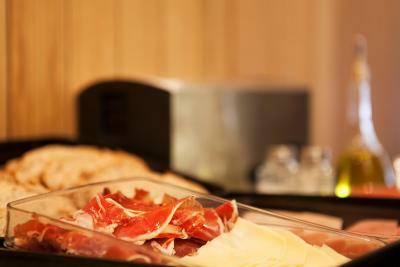 You will find many tapas bars, restaurants and shops within less than a 5 minute walk from Artrip. 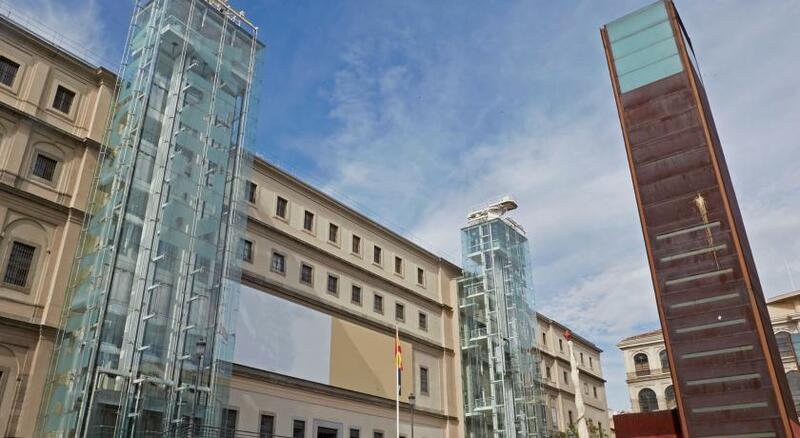 Reina Sofía Museum is just 0.3 miles from the hotel and the Prado Museum is a 15 minute walk away. 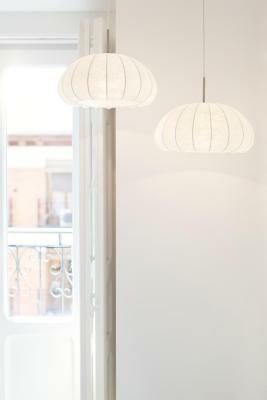 The staff is happy to give you more information about sights and activities in and around Madrid. An airport shuttle service is available for an additional fee. 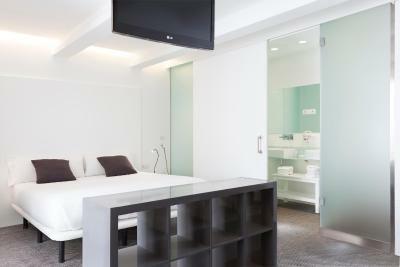 When would you like to stay at Artrip Hotel? 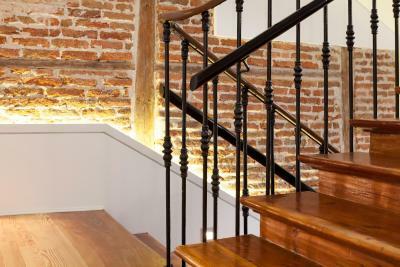 This modern, air-conditioned attic includes a flat-screen satellite TV, free Wi-Fi and a private bathroom with shower and free toiletries. 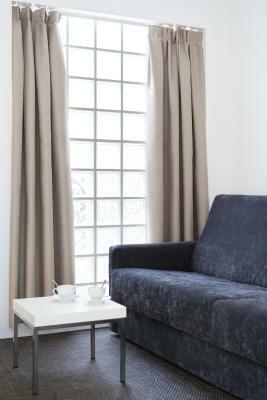 This modern, air-conditioned room has a small balcony overlooking the street. 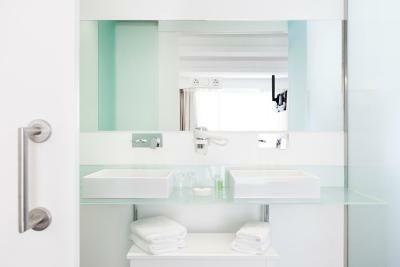 It includes a flat-screen satellite TV, free Wi-Fi and a private bathroom with shower including free toiletries. 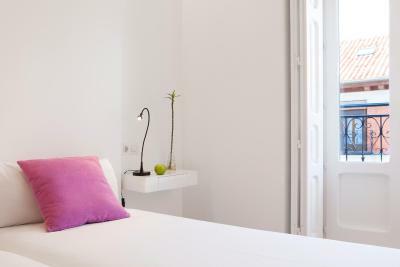 These modern, air-conditioned triple rooms feature a sofa bed and an extra large double bed or 2 single beds. They have a small balcony overlooking the street and include a flat-screen satellite TV, free Wi-Fi and a private bathroom with shower and free toiletries. 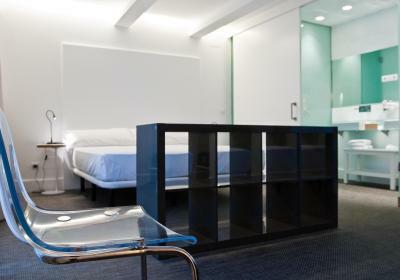 These modern, air-conditioned suites feature a double bed or 2 single beds and include a sofa. 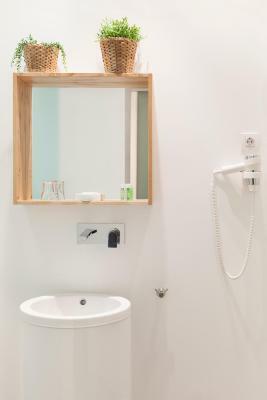 The bright suites look onto the interior courtyard and have a flat-screen satellite TV, free Wi-Fi and a private bathroom with shower and free toiletries. 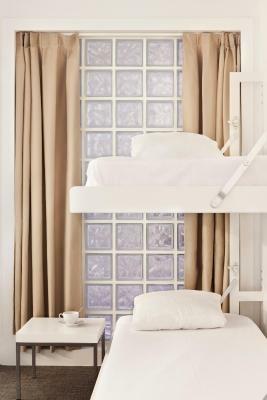 These modern, air-conditioned family rooms feature a bunk bed and an extra large double bed or 2 single beds. 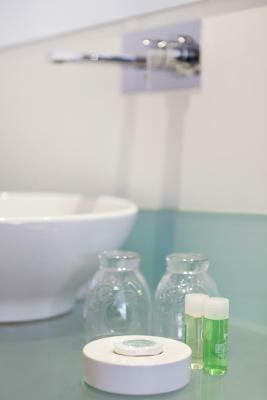 The rooms overlook the interior courtyard and come equipped with a flat-screen satellite TV, free Wi-Fi and have a private bathroom with shower and free toiletries. 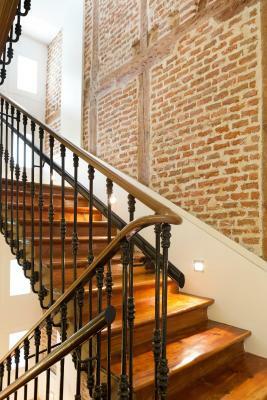 This property was built in 1900, grandmother´s owner Miguel bought it as investment in 1950, those years there were small flats with around 13 families living in (include Miguel´s mother). 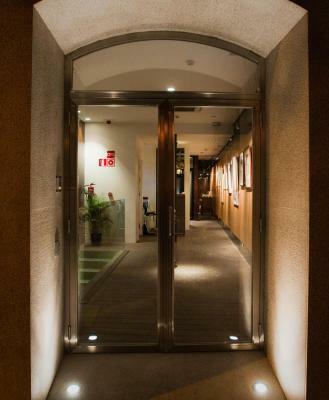 More than 60 years later the building became to be empty of neighbors, then in 2012, the Miguel´s family decide to do a fully renovation and open as a small boutique hotel of 2 stars. 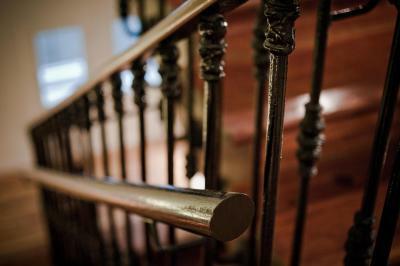 Some parts of the hotel (stairs) are the originals. 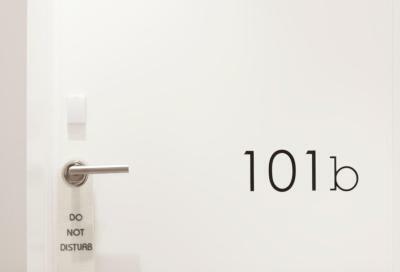 House Rules Artrip Hotel takes special requests – add in the next step! Artrip Hotel accepts these cards and reserves the right to temporarily hold an amount prior to arrival. Please note that for reservations of more than 6 nights, special conditions and additional charges may apply. Vent fan in bathroom needed. 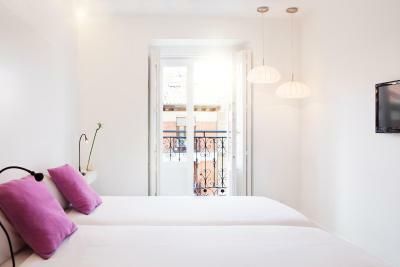 Very convenient location right next to the Lavapies metro station, with good restaurants nearby. The room was bigger than we expected, the bed was ample sized, and the room was comfortable. Nothing to complain about - it’s a pleasant place to stay. It was all great. I probably spend a little more time in my room than most and would have appreciated one comfortable chair, but I just went and sat in the lobby to read and drink my coffee. 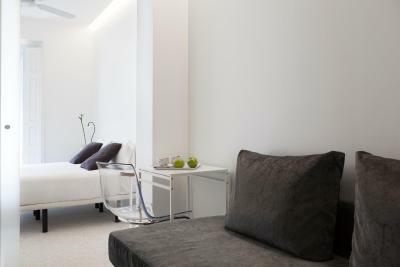 The rooms are really small but very modern. We would stay again. 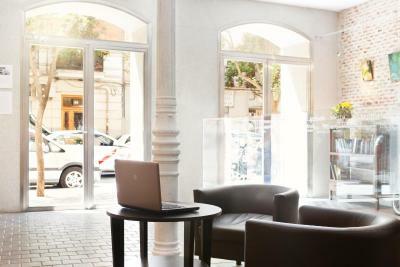 This is a little boutique hotel, in a good location: close to the train station, Reina Sofia Museum. There is a little phone shop across the street were we bought SIM cards for all phones and a 24h Carrefour with ready to eat food and a complete 2-floor supermarket. In one of the streets to the right you can find lots of bars. The staff is lovely and there were 2 beautiful bottles of mineral water in our room. 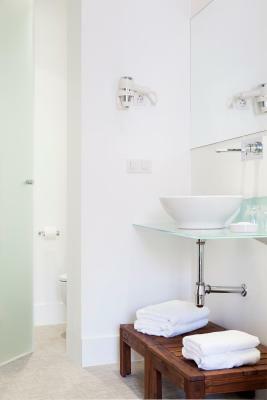 Intimate and quiet boutique hotel. Fresh and clean room, great shower! 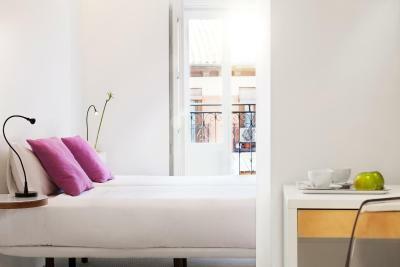 Nice location in residentiële area with local shops and restaurants but still within minutes walk from Atocha station and city centre. Room very clean and comfortable. Staff helpful and friendly. Central to everything. No natural light in my room. It was depressing and small room. New facilities that are functional. Staff communicate very well in both Spanish and English. Excellent customer service. Would stay here again. 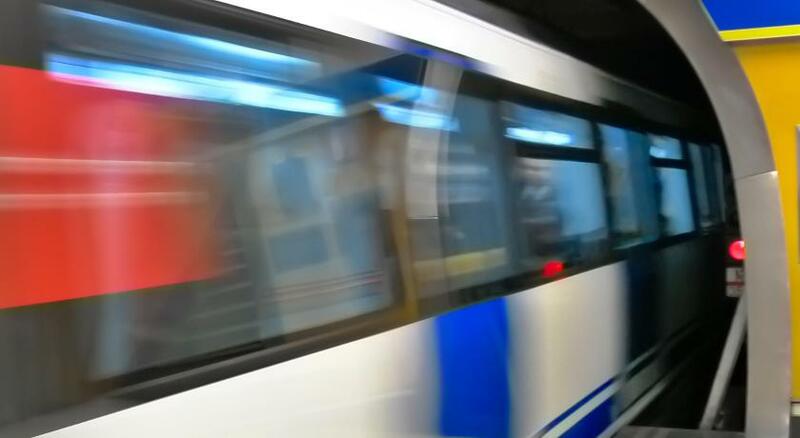 You can easily get to central downtown Madrid using taxi for less than 15 Euros or take Metro train that’s less than 10 minutes walk. The pillows were a little hard but that was very minor, otherwise everything was great. 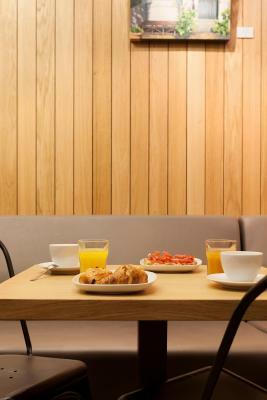 The breakfast time starts at 8AM. Difficult to manage if you want to start working early in the morning. It's clearly tourist-focussed. 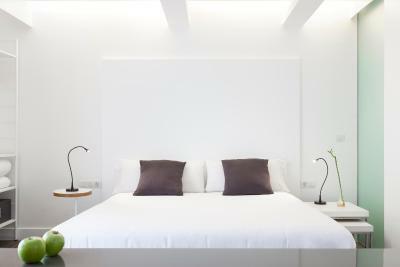 I liked the kindness of the staff and how spacious and enlightened was my room. And the details! Plenty of them in the room, in the common areas... It was an excellent choice! !